Hello everyone, today it’s the first time I write an article and share my daughter's language learning experience, I hope you may get some insights after you read this article. 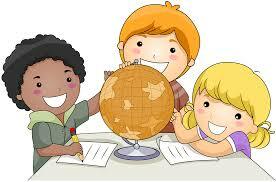 Many parents are confused whether kids learn the foreign language will influence their learning of mother tongue. Some parents worry that the premature foreign language enlightenment will negatively impact on mother tongue learning, maybe it’s better to wait for her to start in junior high school. I personally feel that the earlier children start the language enlightenment, the better. Also, it’s essential to choose the right method. In the Chomsky's "Language and Mind", he proposed a concept of"Universal grammar”. He believes that there is a unique language acquisition device in the child's brain that allows children to learn and speak efficiently by getting in touch with limited contents. This language acquisition mechanism exists in the human brain and is a necessary condition for human beings to learn language. As people age, this mechanism is fading, so childhood is the key period of language learning, and of course it is also an important stage of second or multilingual enlightenment. Children's language acquisition mechanism has a formula: individual grammar (PG) = α*universal grammar (UG). PG is the learning results of language, UG is the natural language learning mechanism in the human brain, and α is the children's life environment. When the language environment is different, individual grammar obtained will be different. When α=Chinese, the child gets the Chinese language grammar; when α=Russian, the child gets the Russian language grammar and rule. Chomsky considered the PG as a language ability, because children are born with this language ability so that children can naturally learn a language without teaching. Modern scientific research shows that 0 to 6 years old is a critical period for developing children's potential, and each child has the possibility of forming more than two language centers in the brain. Chomsky pointed out that "a commonly observed phenomenon is that a child of an expatriate may learn a second language very quickly on the street, and even each phoneme is pronounced exactly like a native speaker." In the critical period of language development, giving children a good environment for acquiring a second language will be beneficial to the activation and development of children's second language skills. However, if the child does not receive a signal stimulus in the second language during the critical period, the second language capability cannot be activated. Many researchers have studied the mechanism of children's language acquisition and found that the biggest difference between children and adults in language learning is more manifested in emotional factors. Children see language learning as a game and have fun during the process of practicing language. They don't worry about making mistakes, they can even create some wrong expressions based on their own preferences and interests. Children tend to have a combination of learning motivations, that is, they have a strong desire to communicate with people speaking different language and make friend, even integrate into the group. Adults often have practical learning motivation which is difficult to bring the joy to them. The advantage of children learning a second language is that children learn from listening and are in line with the customary way of children's language learning. Young children don't memorize words but learn the whole sentence. This is in line with the learning style and characteristics of young children. Verbs are the center of speech. Children are more likely to start with simple verbs and learn more complex language expressions. In early childhood children learn with whole brain zone with full functionality, and adults are used to using half-brain thinking. If you have a multilingual teaching experience and want to share, leave a message to discuss with us. The topics you are interested in can also be our next topic, don’t hesitate to join us. Thank you for reading.